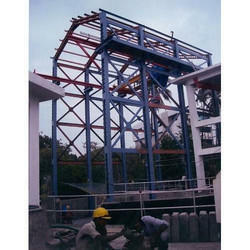 We also Provide Fabrication Service to our clients. Heavy Structural Fabrications Service offered is handled by experienced team of professionals who have with them in-depth process knowledge as well as expertise in handling different fabrication demands as per the specific demand of the clients. 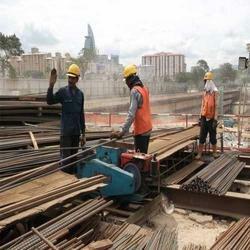 Other than professional handling of the projects, we also ensure the structures erected are durable and long-lasting. Some of the service features include holding specialization in design and manufacture of steel structures, extensive experience in erection of structures like warehouse, workshops and others; providing in structure high strength finish, Light steel structure for stable performance among others. 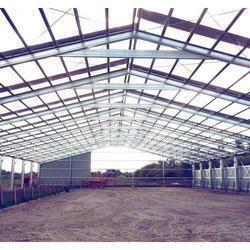 Our domain expertise have enabled us to render Industrial Roofing Fabrication Services to our clients. Owing to their superior strength and waterproofing properties, these services are widely used in a number of applications and uses. This help us in preventing any kind of water clogging and wind related damage to the premises. The offered services are developed to withstand any kind of chemical influence adverse climatic conditions. Further, we offer this in standard as well as customized forms as per the clients' specifications. On-Site Fabrication Services offered is handled by experienced professionals from the industry using latest technology support so as to assure of end solutions that are lasting and safe in usage. Here, our rich industry experience allows us to offer solutions as per the exact design specifications provided by the customers. 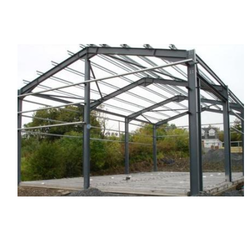 Some of the service features include choice of light steel structure finish, choice of different length and widths, all pre-fabricated parts come in knocked down condition and allow for easy installation, can provide installation support as demanded by customers. 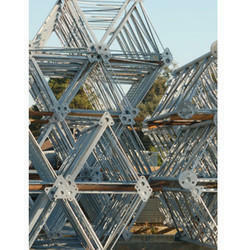 We are an unparalleled name in offering Tower Fabrication Service. These services are executed in a prompt manner by our adept professionals that hold expertise in their respective field. s an esteemed name in the relevant industry, we are offering Fabrication Service. These services are provided by our skilled fabricators who possess vast experience in their respective domains that assists us in rendering fabrication works in an efficient manner. Our services are highly admired for their quality and on time completion. Customers can avail this service from us within a committed time frame at affordable price. Factory Sheds Fabrication Services offered is delivered using latest technology support based tools like CNC punches, press brakes, stamping machines, welding machines and other so as to maintain high accuracy in the offered solutions. Further, our team also ensures the end solutions offered perfectly match up with the customer’s drawings/designs. Fabrication Services offered are handled by experienced industry professionals who make use of latest technology support so as to match up with the specific end solution needs of the customers. The use of CNC punches, press brakes, stamping machines, welding machines as well as other support systems also allow us to offer solutions based on customer’s drawings, designs. 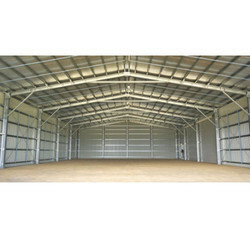 Some of the service features include precision design based fabrication support, easy to construct and durable in performance, light steel structure finish, expertise in handling services related to fabrication of pre-fabricated warehouse, workshop, offices; offering one stop service from design to erection support. 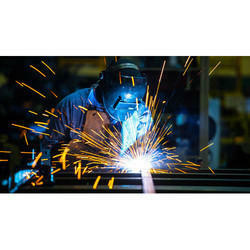 Fabrication Works offered are handled by experienced industry professionals who make use of latest technology support so as to match up with the specific end solution needs of the customers.The offered service is widely appreciated by our precious clients owing to its perfect execution and flawlessness features. To perform this service, our professionals use premium grade tools and latest technology. The provided service can be availed by our clients at nominal price. This service is performed as per the requirements of our valuable clients. 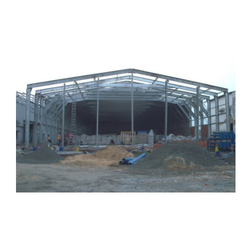 Pre-Structure Fabrication Services offered come in light weight construction finish as well as are capable of handling high load strength which make these suitable for temporary or permanent erections as well as for use in earthquake prone areas. Providing for environmental friendly usage, these buildings are also easy and quick to construct.